WATERVILLE — In May 2018, then-Gov. 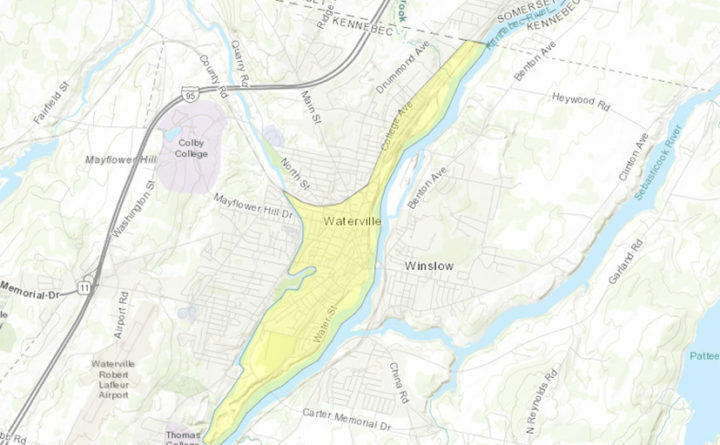 Paul LePage named Waterville census tract 23011024102, which includes the city’s downtown area, as one of Maine’s 32 Opportunity Zones. The tax benefit program, established in the federal Tax Cuts and Jobs Act of 2017 and governed by the IRS, intends to convert U.S. investors’ $2.3 trillion in unrealized capital gains into private investment in low-income communities (otherwise known as “Opportunity Zones”), thereby stimulating growth, creating jobs, and increasing prosperity of residents. With the overlay of the Opportunity Zone in Waterville’s downtown district, inclusion into the tax incentive program comes at an exciting time for the city. “With over $100 million recently invested in downtown projects, the Opportunity Zone program stands to leverage and capitalize on existing revitalization efforts. Moreover, during the past few years downtown Waterville has witnessed over 20 acquisitions of commercial properties, continued population growth, and increases in retail sale figures,” explains Garvan D. Donegan, director of planning and economic development for Central Maine Growth Council. The Growth Council is launching its Opportunity Zone program with a free workshop on Thursday, Jan. 10 for interested developers, investors, and business service professionals. The workshop will include a program overview, a geospatial description of downtown Waterville, and insight from a government agency and Wipfli | Macpage CPAs. The workshop will be held in conjunction with Central Maine Tech Night from 5:00-7:00pm at 10 Water Street, Waterville in Bricks Coworking and Innovation Space; the event is sponsored by CGI, Thomas College’s Harold Alfond Institute for Business Innovation, and Valley Beverage. Refreshments will be provided, and more information can be found at www.centralmaine.org. In order to take advantage of delays and/or reductions in taxes on capital gains, investors must rollover their capital gains into an Opportunity Fund, whose assets are made up of qualified property within the Opportunity Zone acquired since 2018.